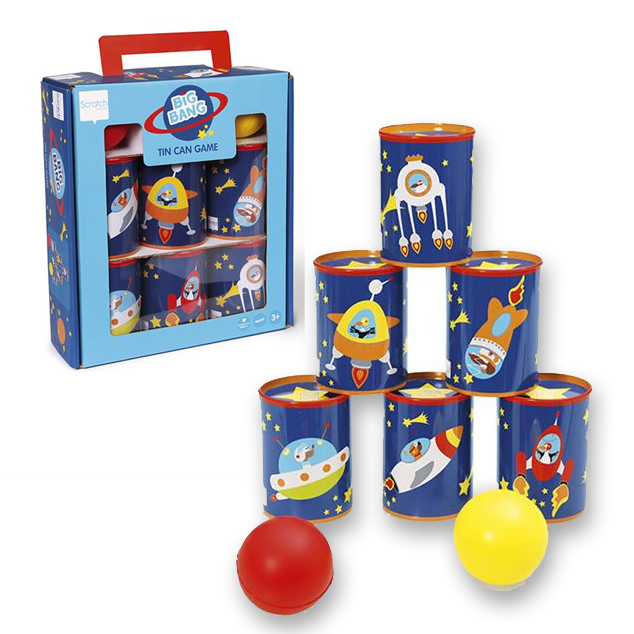 Will you dare to make the tower of tins fall over in one go and create a Big Bang? Every player has one go and there are 60 points up for grabs. How many for every tin is on the top. The player with the highest number of points is the winner! 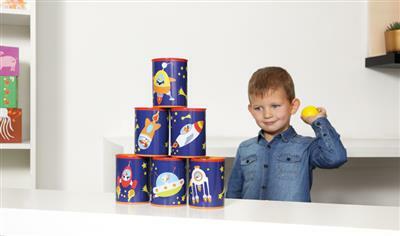 The pretty drawings on both sides of the tins make for variety and lots of fun.